It's the battle of the latest roadsters, or naked bikes, as they are also called. 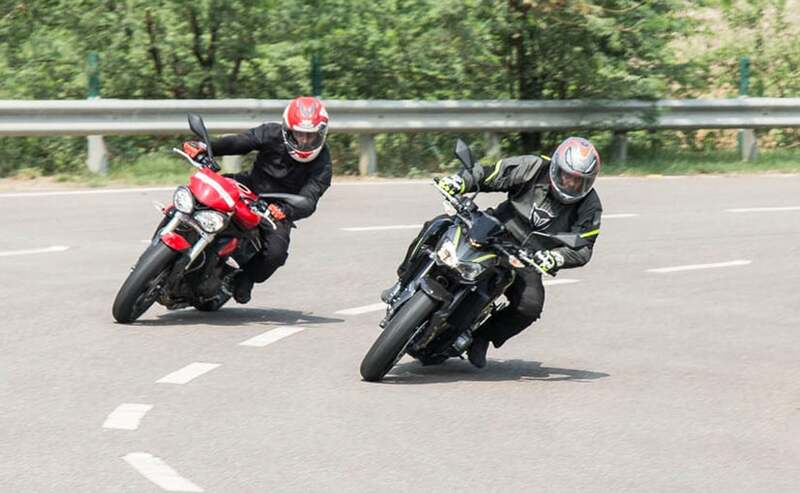 The new Triumph Street Triple S gets a new engine, new suspension and new swingarm. The frame has been carried forward from the outgoing model, but the engine gets a displacement bump and a whole lot more power and torque. The Kawasaki Z900 is also an all-new model for 2017. The Z900 replaces the Z800, and gets a new engine, a new frame, and most importantly, sheds a lot of weight. Both bikes are nakeds, both promise a lot of performance, and both are more or less in the same price bracket. 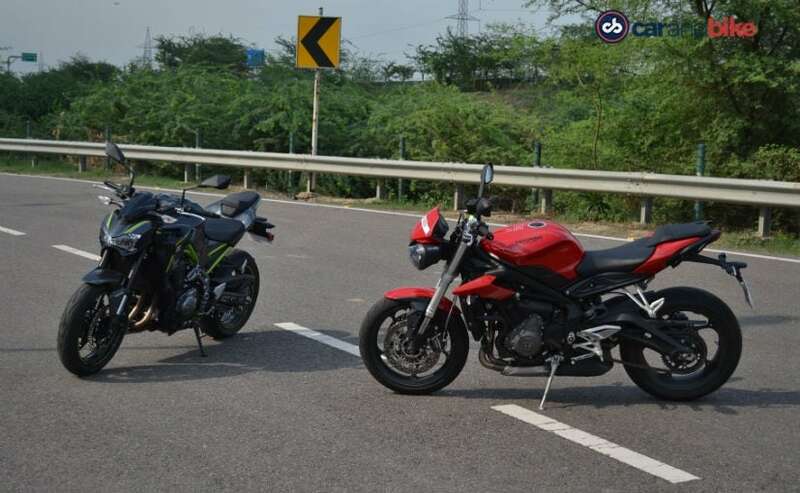 The Street Triple S doesn't look radically different than the outgoing model - same silhouette, similar bug-eyed headlights, and same compact size. It really doesn't look all that different from the old Street Triple, and a few design changes would have been welcome. But where the Street gets a complete revamp is in the technology it packs - the in-line three cylinder engine gets a displacement bump to 765 cc, from the 675 cc on the outgoing model. And now there's ride-by-wire, standard ABS, traction control and the choice of two riding modes - Road and Rain. 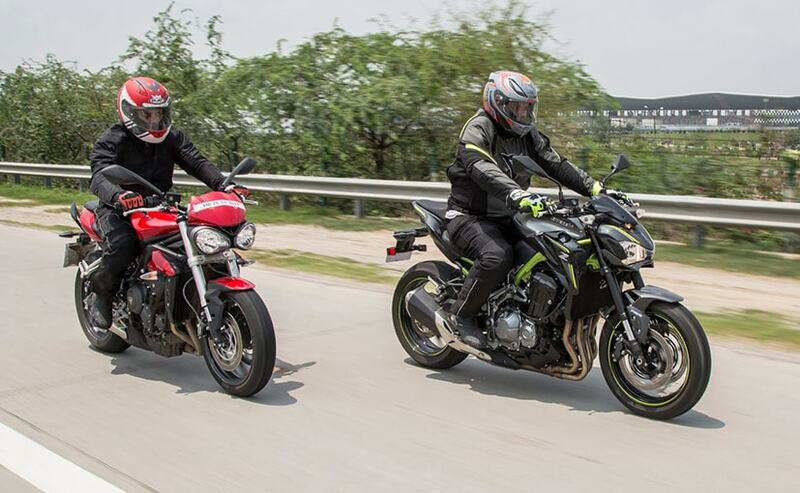 The Kawasaki Z900 also doesn't stray too far from the looks of the Z800 it replaces. But look closely and the differences are obvious. The Z900 has a slightly curvier body and what is strikingly different is the new steel trellis frame, which, by the way, also saves a lot of weight for the Z900. 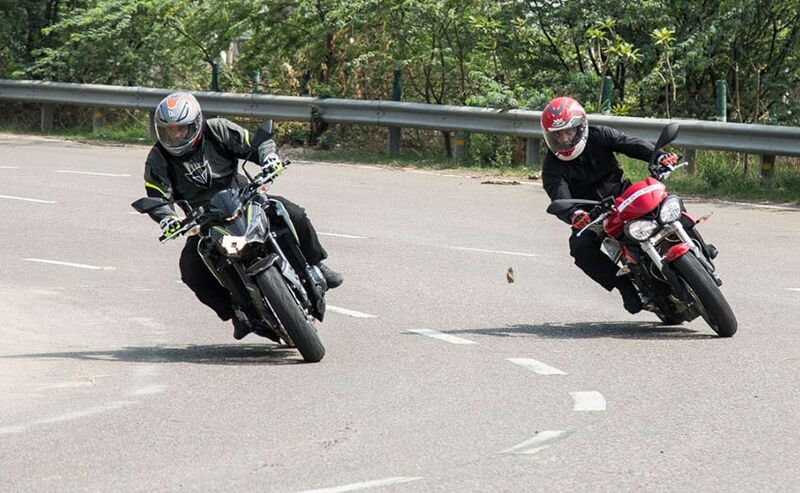 The Street Triple S though, is still lighter and that is an advantage. Overall though, it's the Kawasaki which has more road presence and overshadows the Triumph in the looks department. In terms of features and technology, however, the Kawasaki Z900 just gets ABS, so there's no traction control, no ride-by-wire and no riding modes. 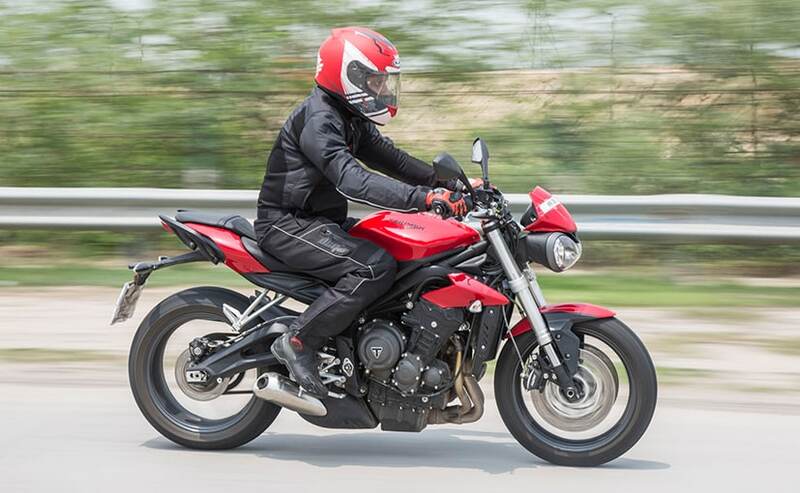 On the move, the Triumph Street Triple S certainly has an advantage - it's light, compact and feels like a small bike, so it's easy to manoeuvre, and handles beautifully. The new 765 cc in-line three engine of the Street Triple S makes over 111 bhp of power at 11,250 rpm and peak torque of 73 Nm at 10,421 rpm, and with a dry weight of 166 kg, the Street Triple S makes for an eager performer. There's enough grunt lower in the revs, and the gearbox has been improved too, with shorter first and second gears for quick acceleration. The triple likes to be revved, so you end up accelerating and red-lining through the gears whether you need to or not. The suspension is plush and the Street Triple S offers a supple, comfortable ride. Throw in a corner or two, and the Street Triple S underlines its stability and agility, never losing its line or composure, even when leaned over. 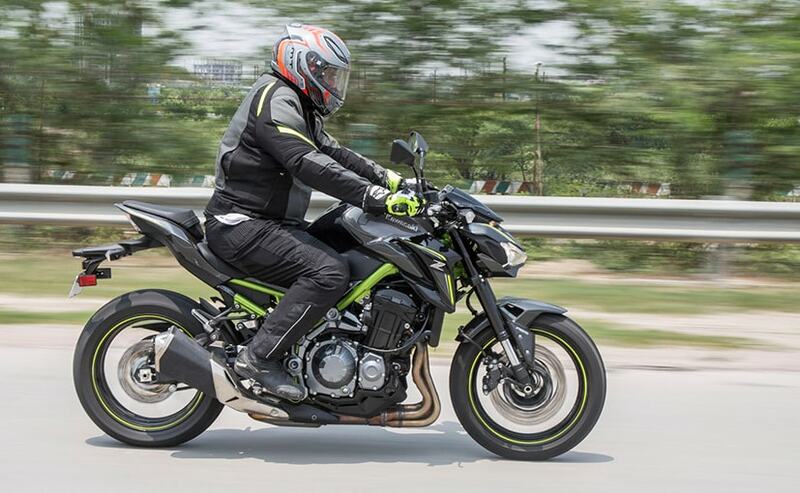 What is immediately noticeable on the Kawasaki is the engine - the Z900's 948 cc in-line four has an extra cylinder over the Street Triple S, and it feels more refined, and the extra displacement makes itself felt. The Z900's slip and assist clutch is light on the fingers, and the gears click into place seamlessly. The low gearing underlines the tractable engine and sixth gear pulls cleanly from as low as 40 kmph. Of course, the presence of a gear position indicator (not available on the Z800) makes things easier, because you never realise you're going so slow on sixth gear. The Z900 makes over 123 bhp of power at 9500 rpm, with peak torque of 98.6 Nm kicking in at 7500 rpm. There's no traction control, but the engine has been tuned to make it more rider friendly, so go easy on the throttle and the Z900 is a nice, well-behaved street bike. You'd be fooled into believing the Z900 has an easy-going nature, till you downshift a cog or two, and open the throttle. Yes, twist your right wrist and the ferocity of the Z900's power hits you; the Kawasaki pulls and pulls, and there's no sign of the in-line four losing steam, till you run out of road, and courage. Around a corner, the Z900 is rock solid stable and intuitive, despite its heavier weight than the Street Triple. The new trellis frame gives the Kawasaki admirable road manners, and the weight isn't felt at all, when on the move. Of course, the Z900 also sheds more than 20 kg over the Z800. 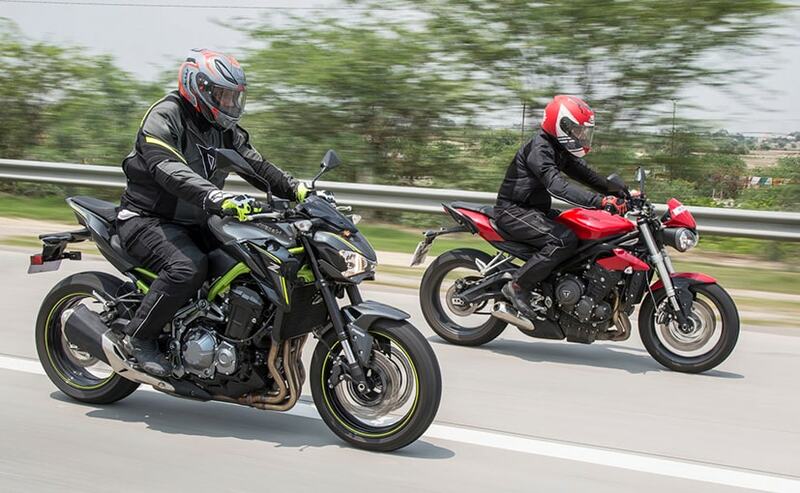 The Kawasaki's ride quality feels tauter, and stiffer compared to the Street Triple S, but it shouldn't be too much of a bother with the adjustable suspension. The Triumph Street Triple S offers a very good package - it's agile, light and has crackling performance. On top of that, the Street Triple S offers ABS, traction control, ride-by-wire and the choice of two riding modes, offering a safety net even in wet conditions. The Kawasaki Z900 just has ABS, and definitely needs a more experienced rider to control the power it delivers. The lack of traction control on the Kawasaki means an overeager hand on the throttle may result in things getting out of control, if you're not careful. Prices for the Kawasaki Z900 start at ₹ 7.68 lakh (ex-showroom) or the base variant, while the Triumph Street Triple S is priced at ₹ 8.5 lakh (ex-showroom). The logical choice should be the Triumph, considering the features and equipment it offers, but the performance and character the Kawasaki offers is just difficult to resist. I'd say, if you like living a predictable life, with all the safety aids, choose the Triumph Street Triple S, but for that little extra punch, that extra excitement, to live life more on the edge, it's the Kawasaki Z900 which rules the heart.